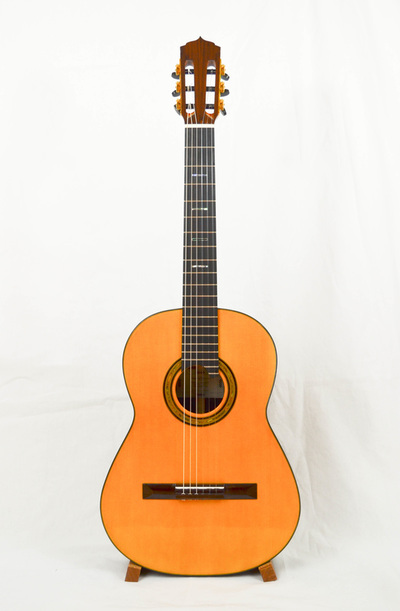 The Viacali Classical is a based on the legendary 1888 Antonio de Torres blueprint, but constructed with influences from Ramirez and Romanillos. 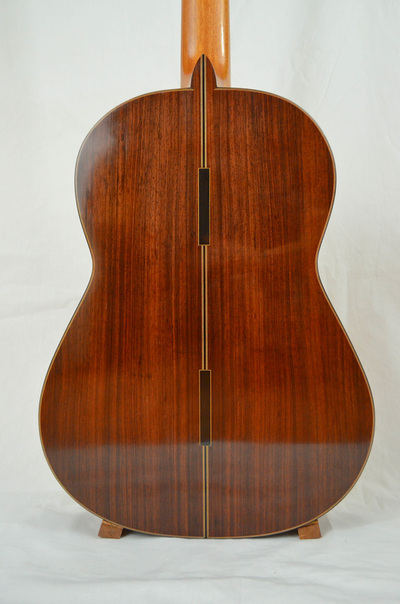 The soundboard is master-grade European Spruce for crystal clear tone, and the back and sides are Indian Rosewood that was bought from the C.F. 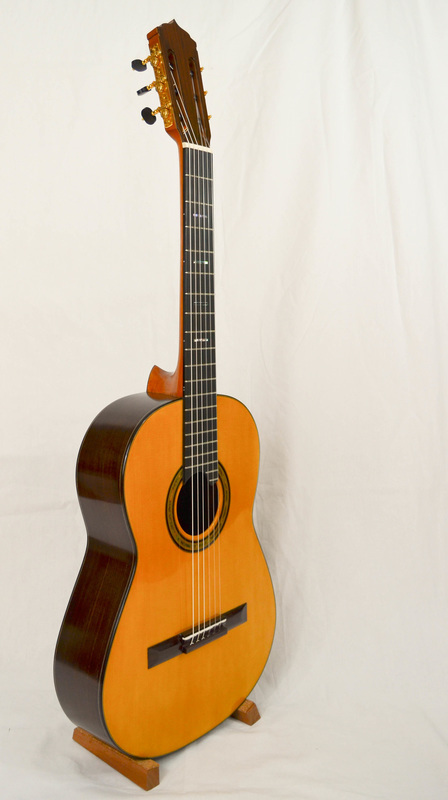 Martin Company in the 1980s. The overall tone is balanced across all registers, with well-defined bass and crisp trebles all the way up to the high C on the extended 20th fret of the #1 E string. 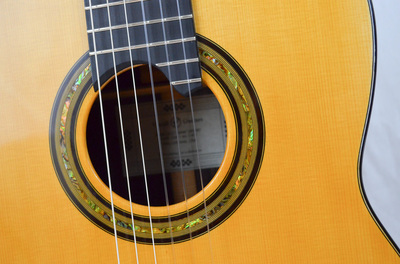 The fully compensated nut and saddle provide accurate intonation across the fingerboard. There are unique cosmetic elements everywhere you look. The peghead's string ramps and square side notches are an homage to "the mentor's mentor" (Art Overholtzer who taught Harrison Phipps who taught Sangho Byun). 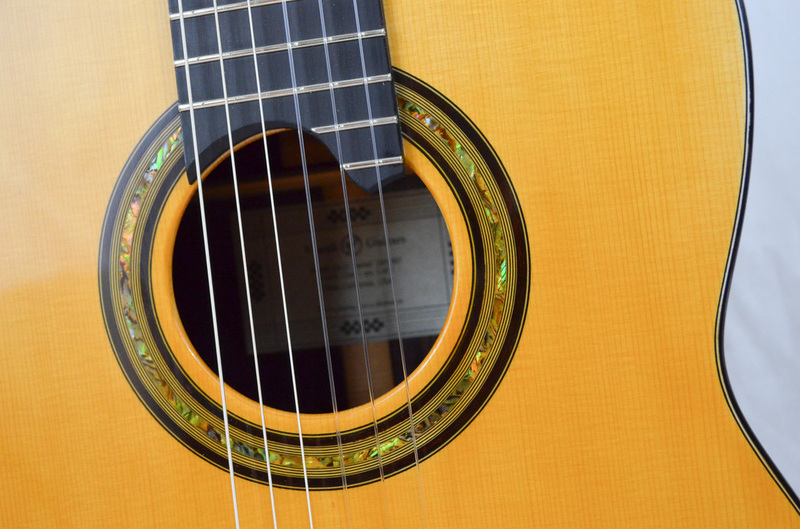 The fingerboard has subtle - and optional - abalone inlays, with the rectangular motif echoed by the ebony inlays on the back of the guitar. 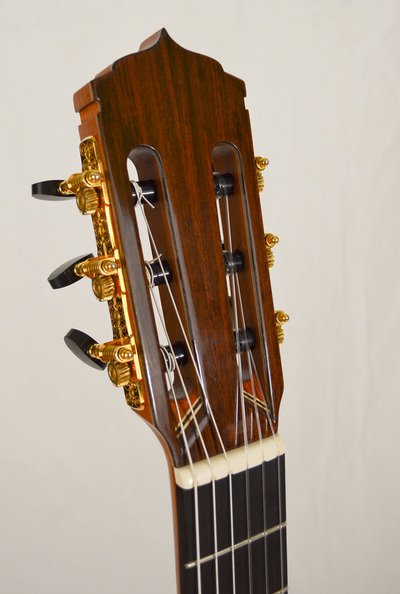 The Romanillos-style bridge uses 3 holes per string to ensure proper string break angle over the saddle while providing the cleanest possible cosmetics. As with all Viacali Guitars, every design feature is customized to create the customer's dream instrument.